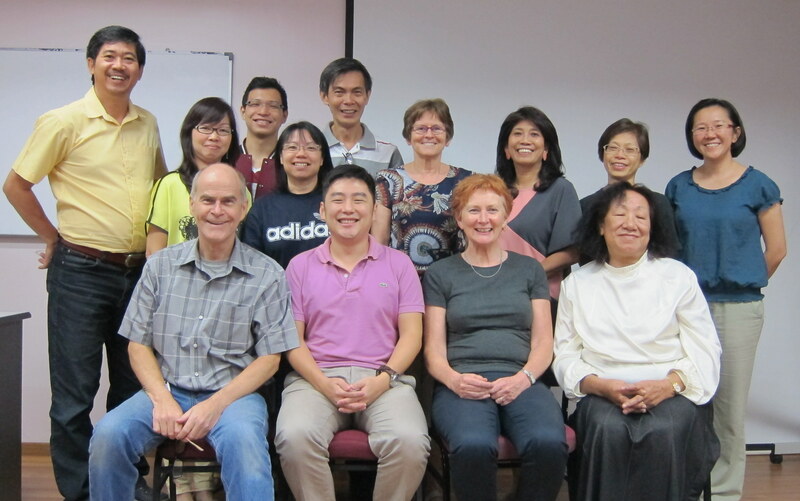 There are a couple of Christian Bible Colleges in Kuala Lumpur that offer courses at the Master’s Level. The colleges here occasionally offer courses from visiting lecturers, and it was through this venue that we were privileged to sit under Dr. Ajith Fernando, Sri Lankan National Director of Youth for Christ and author of more than 20 books just last year. This year we signed up a course on a Christian view of social justice being taught by a very prominent leader in the Christian social justice movement, Amanda Jackson, the Head of Advocacy for the influential Micah Challenge. We were very fortunate to get her to Malaysia at a very busy time in her schedule. Nevertheless, as a previous post explains, I had no idea when we signed up for this course that I would be taking two other courses at the same time as well, or I wouldn’t have signed up. Then I would have lost out on a very significant learning experience. The course was called ‘Speak Up or Stay Silent.’ Those of you who know me well know that ‘silent’ is the last thing anyone thinks of once they have met me. Poor Amanda had a hard time getting a word in! But it was wonderful being able to interact with Asians over this issue, many of whom struggle with the traditional deference to authority, even when that authority is clearly unjust and oppressive. The readings, as has ever been the case with our studies over the last two years, were deeply unsettling to preconceived notions of easy acquiescence to the status quo. From the deeply spiritual Rich Christians in an Age of Hunger, by Quaker Ron Sider, to Generous Justice, by Timothy Keller, we were challenged by a more Biblical understanding of just how costly to Christ our compliance with injustice truly is. I even got to stretch my dramatic muscles in this course, as we were challenged to think through what any Biblical character might say on the issue of speaking up or staying silent. I chose my old (literally) hero Caleb, and came dressed and spoke in character, much to the delight of the class. Asians share my love of drama! As a special treat, we had the pleasure of Amanda’s company on a day off during the course and got to hear of her heart for social justice and her desire to see Christians have a greater impact in the development of the Millennium Development Goals for this hurting world. For all the burden of the work, Pam and I were both richly rewarded in fellowship and understanding.